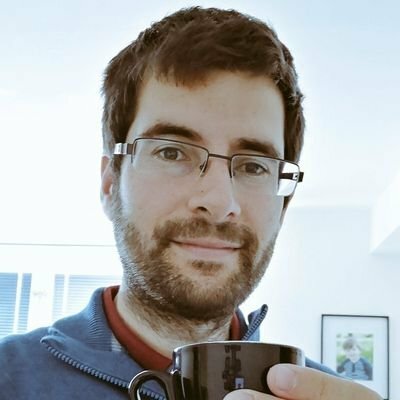 I am a programming language researcher interested in languages, compilers, functional programming, static and dynamic optimisations and type systems. I live in Uppsala with my lovely wife and my 2-year old son, Kai. Below, you can find work-related information regarding my research interests, publications, teaching and community service. Two Best Paper Awards. Scholarly articles on which I am the main author have been recognised with two best paper awards at the conferences COORDINATION 2018 and DisCoTec 2018 – the latter representing the Best Paper award of the series of conferences within DisCoTec in the year 2018 (http://www.it.uu.se/about us/awards). Scholarly Output. In my 4 years of study since joining Uppsala University, I have 7 publications that range from recognised conferences in my field, to journals and an educational symposium on the design of a software design course. I also have publications which are not co-authored by my adviser. Head Teacher for Advanced Course. Going above and beyond the teaching duties normally expected from a PhD student, I am the head teacher for an entire course (Advanced Software Design (ASD), with ~80 students yearly). This arrangement has been ongoing since 2016. Improving Student Satisfaction. Following my taking on, and updating the ASD course, the overall satisfaction of students increased (based on course evaluations) taking the course from a mean of 2.6 (and median of 3) before I took on the course, to a mean of 3.9 (and median of 4.0). Didactic Science and Collaboration Across Faculties. During the academic year 2017/18, I introduced a gamification element in the ASD course. This led to a didactic publication outside of my main research area and was done in collaboration with the department of Business Studies. The work was published at EduSymp’18 Symposium. International Visibility for Teaching at Uppsala. Following the acceptance of the EduSymp’18 article, I was awarded a MINT (Centrum för ÄmnesdidaktiskForskning inom Matematik, Ingenjörsvetenskap, Naturvetenskap och Teknikvetenskap) to be able to attend the conference and present the work to an international community (http://www.it.uu.se/about us/awards). My community service expands to areas wider than my research and can have an important societal value, if not at least at the student level. Promotion of Gender Equality. I have been the vice-chair of the ACM-W student chapter at Uppsala University for the last 3 years, promoting gender equality. As part of this activity, we successfully got a 6 000 $ grant from Microsoft, to continue promoting gender equality at Uppsala University. This led to the organisation of the Ada Lovelace celebration in 2017, where we brought international speakers and researchers to promote gender equality. We also successfully got a 30 000 SEK scholarship from ID24 to promote gender equality. Conference Volunteer Work. I am currently serving as publicity chair for the DisCoTec conferences and Student Volunteering co-chair at SPLASH’19. Advocating for Privacy. I am part of a student chapter in Uppsala that promotes privacy and security technologies, ranging from topics such as email encryption to how to surf the web safely. Promotion of Open Source Technology. I write articles at opensource.com and DZone. These articles are always posted also in different student channels to promote open source technology among students at Uppsala University. Bridging the Gap between Industry and Academia. As part of promoting the open source technologies, I was accepted to an industry conference, PartialConf’18, where I explained how we have built the open source compiler for the language Encore, developed at Uppsala University (Partial’18 in Sofia).